A friend of mine sent me this article, Santa and the 'Shrooms: The Real Story Behind the "Design" of Christmas, by Holly McWhorter. Basically, the premise is that Santa's traditional red and white coat actually stems from old traditions of the Kamchadales and Koryaks of Siberia involving hallucinogenic red and white mushrooms, called "fly agarics". Before passing it off as ridiculous, it's a pretty interesting article and they make connections not just between the colors of the mushrooms and Santa's coat, which in itself would be quite a stretch, but to many other traditions about Santa, from his reindeer to why he comes down the chimney. "But how would he get into a yurt whose door was blocked by several feet of snow? He’d climb up to the roof with his bag of goodies, go to the hole in the center of the roof that acted as a chimney, and slide down the central pole that held the yurt up over the fireplace. Then he’d pass out a few ‘shrooms to each guest, and some might even partake of some of the ones that had been hung over the fire. Clearly, this idea of using the chimney to get in and pass out the magic mushrooms (and other goodies) had sticking power. 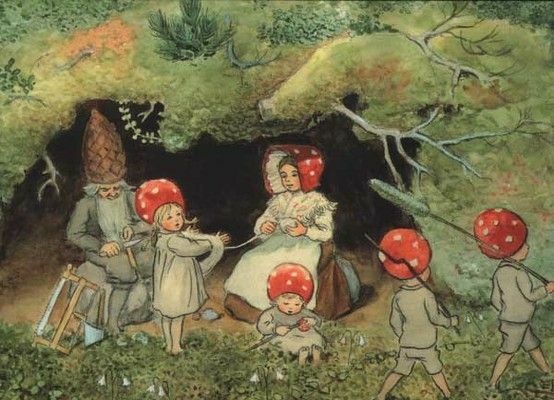 Interestingly, even as late as Victorian times in England, the traditional symbol of chimney sweeps was a fly agaric mushroom — and many early Christmas cards featured chimney sweeps with fly agarics, though no explanation of why was offered." The article claims that this ritual is the origin of the Santa myth, which got later mixed in with other traditions such as the Dutch Sinterklaas. I think that's maybe stretching it a bit much-many European cultures had some form of gift giving spirit, or mischievous house elf, or a possible relation to Santa. The influence of St. Nicholas can't be ingnored, because where this article claims that hanging mushrooms in a sock over the fire was the origin of stockings, that has also been attributed to a legend of St. Nicholas. It seems a little odd to me that the traditions of such small, isolated tribes should have spread and grown throughout Europe over the years; the article claims the traditions were carried to Great Britain by ancient druids. I'm sure that some elements of this tradition did get incorporated into the modern Santa, but I find it extremely unlikely that these traditions would have been spread all around Europe in bits and pieces, then later all brought together again when those descendants immigrated to America, where they were all joined together again in a remarkably similar way. Debating origins is pretty tricky and ultimately impossible to know for sure, but I found the article interesting. 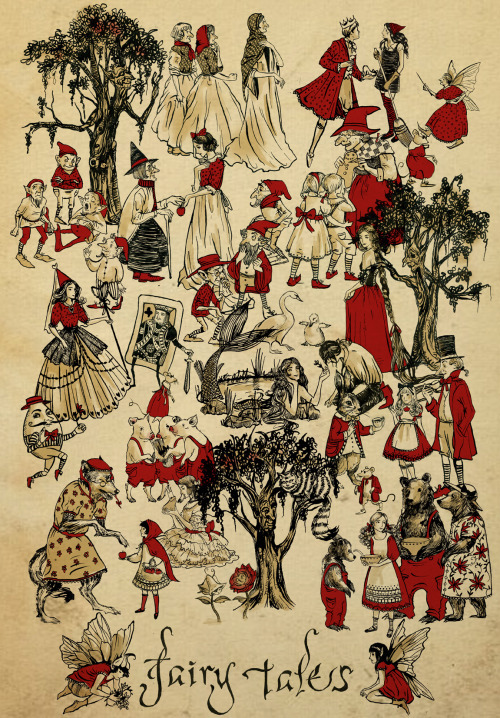 Red is such a significant color in Santa Claus history as well as fairy tales, especially "Snow White" and "Little Red Riding Hood". Could the use of this color in these stories could also be related to these mushrooms, which are also often pictured alongside fairies? I also posted earlier this year about the possibility that the traditions of witches flying on brooms were also caused by a hallucinogenic plant that would give the eater illusions of flying. It's not too much of a stretch to see that as a possibility, but at the same time, flying is a pretty universal human wish, and a common dream. I don't think we need to be high, necessarily, to create stories about flying. Also, I've done a fair bit of reading into the history of Santa and Christmas traditions, and this is the first I've heard of any of it being related to mushrooms and highs. Something else to keep in mind whenever looking at possible origins of either Santa Claus or various related fairy tales is that, statistically, some coincidences are bound to happen. If you compare our Christmas traditions with every ancient culture's Winter Solstice, you're more than likely to find some parallels, it doesn't necessarily mean they're related. Still, pretty interesting to consider! I wasn't quite sure how to contact you, so here goes!! We are contacting you because we would very much appreciate your posting a link to our website. If you have any questions, please don’t hesitate to contact us (iff@uwinnipeg.ca). Here is some text you might want to include. 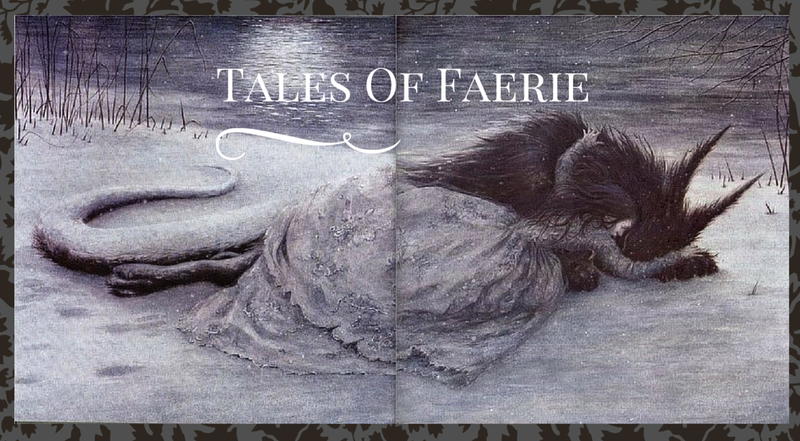 We introduce the International Fairy-Tale Filmography, iftf.uwinnipeg.ca, created by Jack Zipes, Pauline Greenhill, and Kendra Magnus-Johnston. It is available free of charge, open access to all users. As this project is ongoing, we encourage users to suggest films under "Contribute." There is also a "How-To Video" and further information on fairy tales and fairy-tale films. Sent on behalf of Jack Zipes, Pauline Greenhill, and Kendra Magnus-Johnston. This looks like a wonderful resource! Thanks!